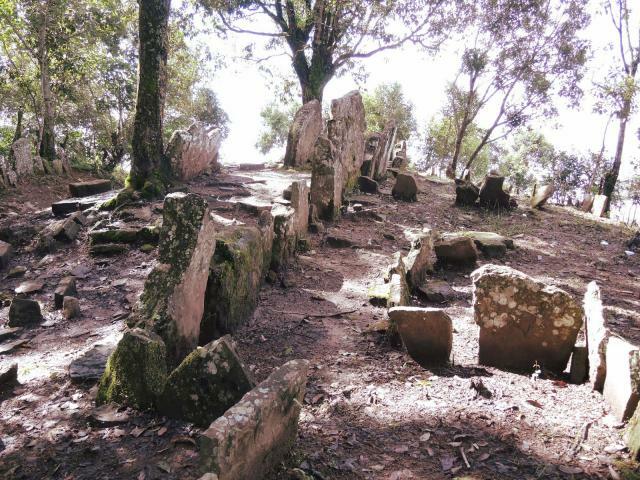 Archaeologists found ruins of a ‘Great Mizoram Forgotten Civilization ’, from ancient history in Kawtchhuah Ropui at Vangchhe Village. 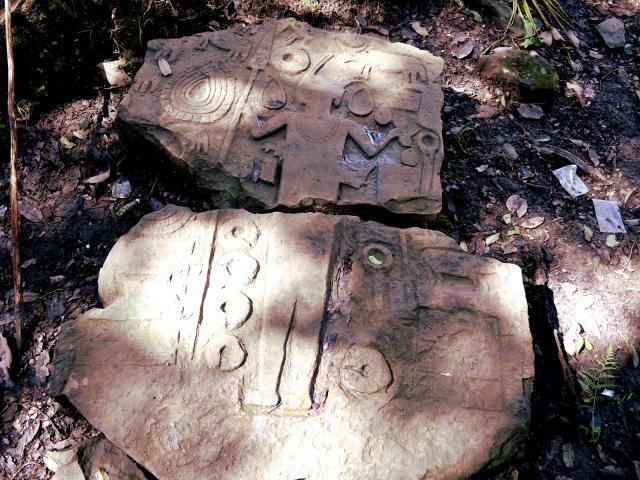 Megaliths left by unknown tribe, are bearing embossed figures of the cultural sentiments of those who had once occupied this place long ago. 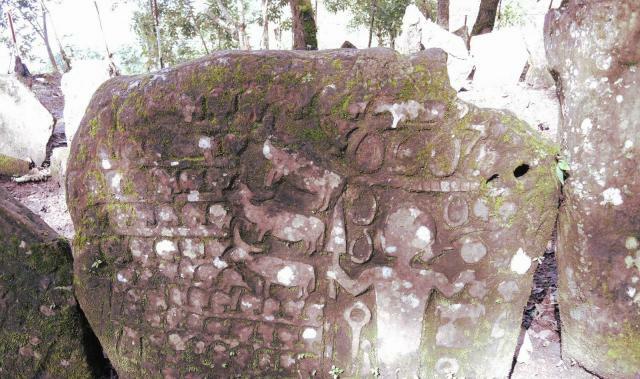 It is impossible that local mizoram tribes must have erected these massive stone carvings, as metal tools arrived in this state after the British colonization (historically). Mizoram history suggests that Vangchhias, a sub-clan of the Mizo Tribe were once halted and settled at the present Vangchhe Village. The Vangchhias planted a banyan tree at the north western entrance of the present Vangchhe Village which was died of old age in 1911 and a new banyan tree was then replanted by the present dwellers in 1913. Vangchhias would have started to settle here around 1611 CE. So, the second settlement must be built by the Vangchhias and the first settlement remain a mystery ! Early history of Mizoram suggests that, Nongda Lairen Pakhangba ruled over the region in 1st century CE. He ascended the throne in 33 CE. After him, it is Meidingu Yanglou Keiphaba’s reign lasted between 965 – 983 CE. The last major name of the Early Period is that of Meidingu Loitongba, who ruled from 1121 – 1149 CE. His son Atom Yoireba ascended the throne in 1149 CE, but by 1162 CE he was driven out by his brother Hemtou Iwang-Thaba. The Medieval Period (1467 – 1798 CE) in the history of Manipur has Medingu Senbi Kiyamba, who became king in 1476 CE, at the age of 24. He was a friend of the King of Pong (Shan Kindom), who presented him with a stone, known as PHEIYA (Almighty). It was after this that worship of God, in the form of a sacred stone, was started. Between 1708 – 1747 CE, the region of Manipur was under the rule of Meidingu Pamheiba, who extended his kingdom from Kabow valley, in the east, to Nongnang (Cachar), Takhel (Tripura), in the west. Between the early period (33 – 1149 CE) and the medieval period (1467 – 1798 CE), there has been a time gap of 200 years, i.e, 1200 – 1400 CE. By 1162 CE, Atom Yoireba, son of King Meidingu Loitongba was driven out by his brother Hemtou Iwang-Thaba, possibly southwards. So, the inhabitants of Kawtchhuah Ropui might be the descendants of Atom Yoireba. Archaeologists team came across burial sites that seemed like water pavilion and terraces that were reminiscent of palatial buildings. The retaining walls or terraces were made of big stones and the average height of each terrace ranged from 10 to 25 feet.